Check Out a Real Dare Devil Jump Over An 80mph Lamborghini! Oussetni Gobitaca is an internet sensation who has become known for his incredible stunts where he jumps over fast moving vehicles. 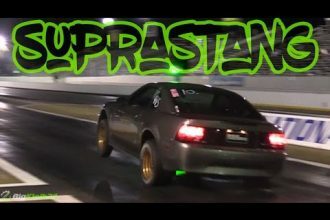 In this video we watch Gobitaca in action as he quickly hops over a Lamborghini Gallardo that is approaching him at 80mph! This adrenaline addict is by far one of the biggest daredevils and continues to impress viewers all over the world! Gobitica has been quoted saying, “…no matter what it is, if I am able to do it in my mind, I will do it in reality.” and we definitely believe him! Check out Ouessetni Gobitaca perform his death defying stunt in the video below! 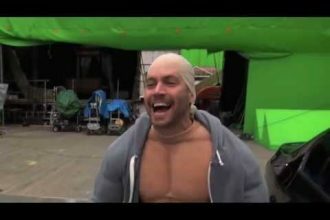 Paul Walker’s Funniest Moment In Fast And Furious! 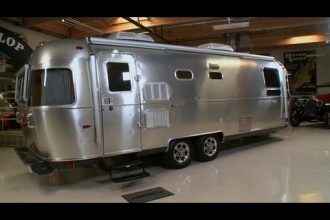 Check Out This Incredible Lightweight & Aerodynamic Concept Airstream Trailer!